Battalions of HezbollahMichael Eisenstadt, “Iran Primer: Iran and Iraq,” PBS Frontline, October 28, 2010, http://www.pbs.org/wgbh/pages/frontline/tehranbureau/2010/10/iran-primer-iran-and-iraq.html. Battalions of the Party of GodAlaa Bayoumi and Leah Harding, “Mapping Iraq's Fighting Groups,” Al Jazeera, June 27, 2014, http://www.aljazeera.com/news/middleeast/2014/06/mapping-out-iraq-fighting-groups-201462494731548175.html. Brigades of the Party of GodJay Solomon, “Iran Funnels New Weapons to Iraq and Afghanistan,” Wall Street Journal, July 2, 2011, http://www.wsj.com/articles/SB10001424052702303763404576420080640167182. Hezbollah BrigadesAmerican Forces Press Service, “Coalition Captures Kataib Hezbollah Suspects, Numerous Others,” U.S. Department of Defense, August 26, 2008, http://www.defense.gov/news/newsarticle.aspx?id=50931. Hizballah Brigades“Treasury Designates Individual, Entity Posing Threat to Stability in Iraq,” U.S. Department of the Treasury, July 2, 2009, http://www.treasury.gov/press-center/press-releases/Pages/tg195.aspx. Hizballah Brigades in Iraq“Treasury Designates Individual, Entity Posing Threat to Stability in Iraq,” U.S. Department of the Treasury, July 2, 2009, http://www.treasury.gov/press-center/press-releases/Pages/tg195.aspx. 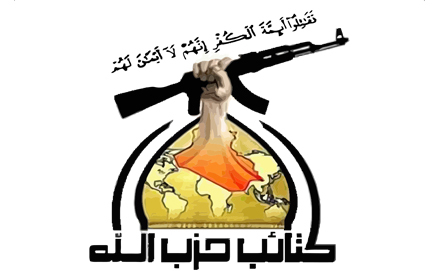 Hizballah Brigades–Iraq“Treasury Designates Individual, Entity Posing Threat to Stability in Iraq,” U.S. Department of the Treasury, July 2, 2009, http://www.treasury.gov/press-center/press-releases/Pages/tg195.aspx. Hizballah Brigades–Iraq of the Islamic Resistance in Iraq“Treasury Designates Individual, Entity Posing Threat to Stability in Iraq,” U.S. Department of the Treasury, July 2, 2009, http://www.treasury.gov/press-center/press-releases/Pages/tg195.aspx. Islamic Resistance in Iraq“Treasury Designates Individual, Entity Posing Threat to Stability in Iraq,” U.S. Department of the Treasury, July 2, 2009, http://www.treasury.gov/press-center/press-releases/Pages/tg195.aspx. Kataib Hizb AllahMichael Knights, “The Evolution of Iran’s Special Groups in Iraq,” Combatting Terrorism Center, November 1, 2010, https://www.ctc.usma.edu/posts/the-evolution-of-iran%E2%80%99s-special-groups-in-iraq. Kataib HizbollahSaif Hameed, “Iraq special forces advance in Tikrit, U.S. coalition joins fight,” Reuters, March 27, 2015, http://www.reuters.com/article/2015/03/27/us-mideast-crisis-iraq-idUSKBN0MM0R220150327. Kata’ib Hezbollah“Treasury Designates Individual, Entity Posing Threat to Stability in Iraq,” U.S. Department of the Treasury, July 2, 2009, http://www.treasury.gov/press-center/press-releases/Pages/tg195.aspx. Kata’ib Hizballah“Country Reports on Terrorism 2009: Chapter 6. Terrorist Organizations,” U.S. Department of State, August 5, 2010, http://www.state.gov/j/ct/rls/crt/2009/140900.htm. Kata’ib Hizballah fi al-Iraq“Treasury Designates Individual, Entity Posing Threat to Stability in Iraq,” U.S. Department of the Treasury, July 2, 2009, http://www.treasury.gov/press-center/press-releases/Pages/tg195.aspx. Kataib HizbullahMichael Knights, “Shia strength - Iraqi militants adapt to the US drawdown,” Washington Institute for Near East Policy, September 30, 2011, https://www.washingtoninstitute.org/uploads/Documents/opeds/4e8b0eba7c0a2.pdf. Katibat Abu Fathel Al A’abas“Treasury Designates Individual, Entity Posing Threat to Stability in Iraq,” U.S. Department of the Treasury, July 2, 2009, http://www.treasury.gov/press-center/press-releases/Pages/tg195.aspx. Katibat Zayd Ebin Ali“Treasury Designates Individual, Entity Posing Threat to Stability in Iraq,” U.S. Department of the Treasury, July 2, 2009, http://www.treasury.gov/press-center/press-releases/Pages/tg195.aspx. Katibut Karbalah“Treasury Designates Individual, Entity Posing Threat to Stability in Iraq,” U.S. Department of the Treasury, July 2, 2009, http://www.treasury.gov/press-center/press-releases/Pages/tg195.aspx. Khata’ib Hezbollah“Treasury Designates Individual, Entity Posing Threat to Stability in Iraq,” U.S. Department of the Treasury, July 2, 2009, http://www.treasury.gov/press-center/press-releases/Pages/tg195.aspx. Khata’ib Hizballah“Treasury Designates Individual, Entity Posing Threat to Stability in Iraq,” U.S. Department of the Treasury, July 2, 2009, http://www.treasury.gov/press-center/press-releases/Pages/tg195.aspx. Khattab Hezballah“Treasury Designates Individual, Entity Posing Threat to Stability in Iraq,” U.S. Department of the Treasury, July 2, 2009, http://www.treasury.gov/press-center/press-releases/Pages/tg195.aspx. Associated Press, “Assad relies on foreign fighters in push to retake Aleppo,” Fox News, December 10, 2016, http://www.foxnews.com/world/2016/12/10/assad-relies-on-foreign-fighters-in-push-to-retake-aleppo.html. During the U.S.-led war in Iraq that began in 2003, KH earned a reputation for planting deadly roadside bombs and using improvised rocket-assisted mortars (IRAMs) to attack U.S. and coalition forces.“Treasury Designates Individual, Entity Posing Threat to Stability in Iraq,” U.S. Department of the Treasury, July 2, 2009, http://www.treasury.gov/press-center/press-releases/Pages/tg195.aspx; Terrorist Groups in Syria: Hearing Before the Subcommittee on Terrorism, Nonproliferation, and Trade of the Committee on Foreign Affairs House of Representatives, 113th Cong. 17-24 (2013) (statement of Phillip Smyth, Middle East research analyst, University of Maryland), http://www.gpo.gov/fdsys/pkg/CHRG-113hhrg85643/pdf/CHRG-113hhrg85643.pdf. According to U.S. diplomat Ali Khedery, KH is responsible for “some of the most lethal attacks against U.S. and coalition forces throughout the [U.S.-led war in Iraq].”Ali Khedery, “Iran’s Shiite Militias Are Running Amok in Iraq,” Foreign Policy, February 19, 2015,http://foreignpolicy.com/2015/02/19/irans-shiite-militias-are-running-amok-in-iraq/. The group’s leader, Jamal Jaafar Ibrahimi—also known by his alias Abu Mahdi al-Mohandes—is the alleged mastermind behind the U.S. and French embassy bombings in Kuwait in 1983 and the assassination attempt on Kuwait’s emir in 1985.Richard R. Brennan et al., eds., Ending the U.S. War in Iraq: the Final Transition, Operational Maneuver, and Disestablishment of United States Forces-Iraq (Santa Monica: RAND Corporation, 2013), 138-139, http://www.rand.org/content/dam/rand/pubs/research_reports/RR200/RR232/RAND_RR232.pdf; Ali Khedery, “Iran’s Shiite Militias Are Running Amok in Iraq,” Foreign Policy, February 19, 2015, http://foreignpolicy.com/2015/02/19/irans-shiite-militias-are-running-amok-in-iraq/; “Treasury Designates Individual, Entity Posing Threat to Stability in Iraq,” U.S. Department of the Treasury, July 2, 2009, http://www.treasury.gov/press-center/press-releases/Pages/tg195.aspx. The group is suspected of involvement in extrajudicial killings and abductions in Iraq’s Anbar province, including the May 27, 2016, abduction of more than 70 Sunni boys and men from al-Sijir, and the murder of 49 men from Saqlawiyah.“Iraq: Turning a Blind Eye: the Arming of the Popular Mobilization Units,” Amnesty International, January 2017, https://www.amnesty.org/en/documents/mde14/5386/2017/en/. After the U.S. military withdrawal from Iraq in December 2011, KH sent fighters to defend the Assad regime in Syria, allegedly at the behest of Qasem Soleimani, the head of the Quds Force of Iran’s Islamic Revolutionary Guard Corps (IRGC).Michael R. Gordon and Steven Lee Myers, “Iran and Hezbollah Support for Syria Complicates Peace-Talk Strategy,” New York Times, May 21, 2013, http://www.nytimes.com/2013/05/22/world/middleeast/iran-and-hezbollahs-support-for-syria-complicates-us-strategy-on-peace-talks.html; Suadad al-Salhy, “Iraqi Shi'ite militants fight for Syria's Assad,” Reuters, October 16, 2012, http://www.reuters.com/article/2012/10/16/us-syria-crisis-iraq-militias-idUSBRE89F0PX20121016. As KH switched from fighting U.S. forces in Iraq to combating Sunni rebels and extremists in Iraq and Syria, KH has continued to prioritize its anti-American agenda, repeatedly boycotting battles against ISIS in which the U.S. participates.David D. Kirkpatrick, “Shiite Militias Pose Challenge for U.S. in Iraq,” New York Times, September 16, 2014, http://www.nytimes.com/2014/09/17/world/middleeast/shiite-militias-pose-challenge-for-us-in-iraq.html?_r=0; Saif Hameed, “Iraq special forces advance in Tikrit, U.S. coalition joins fight,” Reuters, March 27, 2015, http://www.reuters.com/article/2015/03/27/us-mideast-crisis-iraq-idUSKBN0MM0R220150327. In January 2018, KH, Asaib Ahl al-Haq (AAH), and the Badr Organization joined with other Shiite units to form the Fatah Alliance political party ahead of Iraq’s May 2018 elections.Ahmad Majidyar, “Iraqi Hezbollah calls on Baghdad government to set up US exit timeline,” Middle East Institute, March 6, 2018, http://www.mei.edu/content/io/iraqi-hezbollah-calls-baghdad-government-set-us-exit-timeline. The alliance won 47 parliamentary seats in the election, though the parliament soon after called for a manual recount.“Iraqi parliament orders manual election recount,” BBC News, June 6, 2018, https://www.bbc.com/news/world-middle-east-44390092. Notwithstanding, on June 11, the Fatah Alliance formed a coalition agreement with Muqtada al-Sadr’s Sairoon Alliance, which won the Iraq elections.Phillip Smyth, “Iranian Militias in Iraq's Parliament: Political Outcomes and U.S. Response,” Washington Institute for Near East Policy, June 11, 2018, http://www.washingtoninstitute.org/policy-analysis/view/iranian-militias-in-iraqs-parliament-political-outcomes-and-u.s.-response; Ali Mamouri, “Sadr allies with Iran-backed coalition to form government in Iraq,” Al-Monitor, June 14, 2018, https://www.al-monitor.com/pulse/originals/2018/06/iraq-election-muqtada-sadr-sairoon-fatah-hadi-amiri-iran.html. This new coalition potentially places Fatah—and by extension KH—in a position to influence the new Iraq government. On July 13, 2018, Iraqi protesters in the country’s south attacked the political offices of KH and other Iran-backed groups as they called for Iran to withdraw from Iraq.Seth J. Frantzman, “Mass Protests Sweep Iraq, Target Pro-Iran Militias and Parties,” Jerusalem Post, July 16, 2018, https://www.jpost.com/Middle-East/Mass-protests-sweep-Iraq-target-pro-Iran-militias-and-parties-562597. KH is the only Iraqi Shiite militia designated as a terrorist organization by the United States.Babak Dehghanpisheh, “Special Report: The fighters of Iraq who answer to Iran,” Reuters, November 12, 2014, http://www.reuters.com/article/2014/11/12/us-mideast-crisis-militias-specialreport-idUSKCN0IW0ZA20141112. It is also reportedly the “most secretive” and elite of Iraq’s predominantly Shiite militias.Babak Dehghanpisheh, “Special Report: The fighters of Iraq who answer to Iran,” Reuters, November 12, 2014, http://www.reuters.com/article/2014/11/12/us-mideast-crisis-militias-specialreport-idUSKCN0IW0ZA20141112; Terrorist Groups in Syria: Hearing Before the Subcommittee on Terrorism, Nonproliferation, and Trade of the Committee on Foreign Affairs House of Representatives, 113th Cong. 17-24 (2013) (statement of Phillip Smyth, Middle East research analyst, University of Maryland), http://www.gpo.gov/fdsys/pkg/CHRG-113hhrg85643/pdf/CHRG-113hhrg85643.pdf. KH has long-standing ties to Iran’s external military branch, the IRGC-Quds Force, as well as to Iran’s proxy in Lebanon, Hezbollah.Farnaz Fassihi, Jay Solomon, and Sam Dagher, “Iranians Dial Up Presence in Syria,” Wall Street Journal, September 16, 2013, http://www.wsj.com/articles/SB10001424127887323864604579067382861808984. According to the U.S. Department of State, KH is “a radical Shia Islamist group with an anti-Western establishment and jihadist ideology.”“Designation of Kata’ib Hizballah as a Foreign Terrorist Organization,” U.S. Department of State, July 2, 2009, http://www.state.gov/r/pa/prs/ps/2009/july/125582.htm. The group is virulently anti-American and ideologically loyal to the Iranian regime. Anti-American: During the U.S.-led war in Iraq, KH built its reputation by targeting U.S. personnel and interests and killing numerous U.S. soldiers in terrorist attacks.“Hezbollah threatens withdrawal over Baghdad ‘lack of support’,” April 24, 2015, Rudaw, http://rudaw.net/english/middleeast/iraq/240420151. Since the U.S. military withdrawal from Iraq in December 2011, KH has retained its anti-American ideology. KH’s website states that the group’s first goal “was and still remains: thwarting the American project in the region, defeat of the occupation, and expelling them from Iraq, broken and humbled…. As for our jihadi pillars, there are four. Firstly, waging jihad against the occupation until the last American is expelled from Iraq.”“About Kata’ib Hezbollah,” The Islamic Resistance Kata’ib Hezbollah Official Website, http://www.kataibhizbollah.com/institute/2711. In KH’s efforts to fight ISIS in Iraq, KH remains opposed to any cooperation with the United States. In September 2014, for example, KH released a statement saying, “We will not fight alongside the American troops under any kind of conditions whatsoever. [Our only contact with Americans will be] if we fight each other.”David D. Kirkpatrick, “Shiite Militias Pose Challenge for U.S. in Iraq,” New York Times, September 16, 2014, http://www.nytimes.com/2014/09/17/world/middleeast/shiite-militias-pose-challenge-for-us-in-iraq.html?_r=0. In March 2015, KH’s military spokesman reaffirmed the group’s anti-American position, saying, “It is not possible for Kataib Hizbollah or any of the resistance factions to be in the same trench as the Americans.”Saif Hameed, “Iraq special forces advance in Tikrit, U.S. coalition joins fight,” Reuters, March 27, 2015, http://www.reuters.com/article/2015/03/27/us-mideast-crisis-iraq-idUSKBN0MM0R220150327. In December 2017, following ISIS’s defeat in Iraq, KH released a statement declaring that “the enemy of humanity, the US, can no longer desecrate Iraqi soil, as the fighters of [KH] will not allow them to do so.”Baxtiyar Goran, “Hezbollah Brigades: US troops will be forced to withdraw from Iraq,” Kurdistan 24, December 30, 2017, http://www.kurdistan24.net/en/news/582120a4-c8a0-40f1-a652-a9a46a43b926. Pro-Iranian: KH’s loyalty to Iran is key to the group’s ideology. A 2013 RAND Corporation report claims that “Kata’ib Hezbollah, like Lebanese Hezbollah, is used as a tool to ‘export the Islamic revolution’ as practiced in Tehran.”Richard R. Brennan et al., eds., Ending the U.S. War in Iraq: the Final Transition, Operational Maneuver, and Disestablishment of United States Forces-Iraq (Santa Monica: RAND Corporation, 2013), 138-139, http://www.rand.org/content/dam/rand/pubs/research_reports/RR200/RR232/RAND_RR232.pdf. KH openly accepts Iran’s vision of velayat-e faqih (Guardianship of the Jurists), a strain of political theology that entrusts Iran’s Supreme Leader with unique authority in the Shiite faith.Richard R. Brennan et al., eds., Ending the U.S. War in Iraq: the Final Transition, Operational Maneuver, and Disestablishment of United States Forces-Iraq (Santa Monica: RAND Corporation, 2013), 138-139, http://www.rand.org/content/dam/rand/pubs/research_reports/RR200/RR232/RAND_RR232.pdf. Members of KH swear an oath of loyalty to Iran’s Supreme Leader, Ayatollah Ali Khamenei, and accept him as their own spiritual leader.Richard R. Brennan et al., eds., Ending the U.S. War in Iraq: the Final Transition, Operational Maneuver, and Disestablishment of United States Forces-Iraq (Santa Monica: RAND Corporation, 2013), 138-139, http://www.rand.org/content/dam/rand/pubs/research_reports/RR200/RR232/RAND_RR232.pdf; Ned Parker and Raheem Salman, “In defense of Baghdad, Iraq turns to Shi'ite militias,” Reuters, June 14, 2014, http://www.reuters.com/article/2014/06/14/us-iraq-security-volunteers-idUSKBN0EP0O920140614. KH is considered the most secretive Shiite militia operating in Iraq.Babak Dehghanpisheh, “Special Report: The fighters of Iraq who answer to Iran,” Reuters, November 12, 2014, http://www.reuters.com/article/2014/11/12/us-mideast-crisis-militias-specialreport-idUSKCN0IW0ZA20141112. Little is known about the group’s structure, aside from the fact that KH is led by Jamal Jaafar Ibrahimi, also known by his nom de guerre Abu Mahdi al-Mohandes.Michael Knights, “The Evolution of Iran’s Special Groups in Iraq,” Combatting Terrorism Center, November 1, 2010, https://www.ctc.usma.edu/posts/the-evolution-of-iran%E2%80%99s-special-groups-in-iraq; Phillip Smyth, “There Is No ‘Good’ Shia Militia in Iraq,” Daily Beast, April 17, 2015, http://www.thedailybeast.com/articles/2015/04/17/is-there-a-good-shia-militia-in-iraq.html; Babak Dehghanpisheh, “Special Report: The fighters of Iraq who answer to Iran,” Reuters, November 12, 2014, http://www.reuters.com/article/2014/11/12/us-mideast-crisis-militias-specialreport-idUSKCN0IW0ZA20141112. In addition to acting as leader of KH, Ibrahimi also serves as Iraq’s deputy national security advisor and the deputy commander of the Haashid Shaabi (also called the popular mobilization forces, or PMF), Iraq’s umbrella group of anti-ISIS Shiite militias.Liz Sly, “Pro-Iran militias’ success in Iraq could undermine U.S.,” Washington Post, February 15, 2015, http://www.washingtonpost.com/world/middle_east/iraqs-pro-iranian-shiite-militias-lead-the-war-against-the-islamic-state/2015/02/15/5bbb1cf0-ac94-11e4-8876-460b1144cbc1_story.html; Phillip Smyth, “There Is No ‘Good’ Shia Militia in Iraq,” Daily Beast, April 17, 2015, http://www.thedailybeast.com/articles/2015/04/17/is-there-a-good-shia-militia-in-iraq.html. The PMF coordinates anti-ISIS military ventures between KH, Asaib Ahl al-Haq (AAH), the Badr Organization, and other predominantly Shiite and Iranian-sponsored militias. Martin Chulov, Saeed Kamali Dehghan, and Patrick Wintour, “Iran hails victory in Aleppo as Shia militias boost Syria's Bashar al-Assad,” Guardian (London), December 14, 2016, https://www.theguardian.com/world/2016/dec/14/iran-aleppo-syria-shia-militia. It is unclear if the KH office in Aleppo remained past the government’s full capture of the city, however KH is known to be operating in the southern Syria governorate of Deir Ez Zor as of June 2018.Weedah Hamzah, “Eastern Syria air strikes toll rises to 52,” Herald Sun, June 18, 2018, https://www.heraldsun.com.au/news/breaking-news/eastern-syria-air-strikes-toll-rises-to-52/news-story/d826bf6de3c75766111a81f744c94028. KH belongs to the Fatah political alliance, which received the second most votes in Iraq’s May 2018 elections and quickly entered talks with the election winners—Muqtada al-Sadr’s Sairoon Alliance.Weedah Hamzah, “Eastern Syria air strikes toll rises to 52,” Herald Sun, June 18, 2018, https://www.heraldsun.com.au/news/breaking-news/eastern-syria-air-strikes-toll-rises-to-52/news-story/d826bf6de3c75766111a81f744c94028. This new coalition potentially places Fatah—and by extension KH—in a position to receive important governing positions in the new Iraq government. However, a Fatah leader named Karim al-Nuri claimed that “The new coalition is in tune with the vision of Iran and the United States,” meaning the party would not seek to change Iraq’s post-2003 policy of working with both Iran and the United States.Ali Mamouri, “Sadr allies with Iran-backed coalition to form government in Iraq,” Al-Monitor, June 14, 2018, https://www.al-monitor.com/pulse/originals/2018/06/iraq-election-muqtada-sadr-sairoon-fatah-hadi-amiri-iran.html. According to the U.S. government, KH is primarily funded by the government of Iran and, specifically, Iran’s IRGC-Quds Force.“Treasury Designates Individual, Entity Posing Threat to Stability in Iraq,” U.S. Department of the Treasury, July 2, 2009, http://www.treasury.gov/press-center/press-releases/Pages/tg195.aspx; “Country Reports on Terrorism 2016,” U.S. Department of State, July 2017, https://www.state.gov/documents/organization/272488.pdf. In November 2014, wounded U.S. military veterans and family members of deceased U.S. soldiers filed a lawsuit against European banks for processing money from Tehran that bankrolled terrorist attacks in Iraq. According to the lawsuit, KH allegedly received money from Iran to finance terrorist attacks against U.S. soldiers.Alison Frankel, “U.S. Veterans Sue Banks, Claim They Should Pay for Iraq Attacks,” Reuters, November 10, 2014, http://www.reuters.com/article/2014/11/10/us-usa-courts-banking-iran-idUSKCN0IU1Q120141110. David Andrew Weinberg and Thomas Joscelyn, “Analysis: Qatar’s ill-timed hostage deal increases pressure on Washington,” Long War Journal, April 22, 2017, http://www.longwarjournal.org/archives/2017/04/analysis-qatars-ill-timed-hostage-deal-increases-pressure-on-washington.php. Documents released in April 2018 revealed that the Qatari officials had paid $25 million of a $150 million ransom to KH in 2017.Joby Warrick, “Hacked messages show Qatar appearing to pay hundreds of millions to free hostages,” Washington Post, April 28, 2018, https://www.washingtonpost.com/world/national-security/hacked-messages-show-qatar-appearing-to-pay-hundreds-of-millions-to-free-hostages/2018/04/27/46759ce2-3f41-11e8-974f-aacd97698cef_story.html?noredirect=on&utm_term=.7c167ea8ebb7. KH has sought to lure recruits by advertising its fight against U.S. forces in Iraq. Following the start of the Syrian civil war, the group also advertised its efforts to support Assad forces in neighboring Syria. During the U.S.-led war in Iraq, KH filmed attacks against U.S. and coalition targets, publishing the films online for propaganda and recruitment purposes.“Treasury Designates Individual, Entity Posing Threat to Stability in Iraq,” U.S. Department of the Treasury, July 2, 2009, http://www.treasury.gov/press-center/press-releases/Pages/tg195.aspx. During the Arab Spring, KH and fellow Shiite militia Asaib Ahl al-Haq (AAH) also attempted to attract recruits to fight anti-Assad rebels in Syria by advertising their involvement there. They did so by holding public funerals for fighters in Shiite neighbors in Baghdad, and by posting updates on the groups’ Facebook pages.Ned Parker and Raheem Salman, “In defense of Baghdad, Iraq turns to Shi'ite militias,” Reuters, June 14, 2014, http://www.reuters.com/article/2014/06/14/us-iraq-security-volunteers-idUSKBN0EP0O920140614. The two groups also posted phone numbers around Baghdad to attract potential recruits.Ned Parker and Raheem Salman, “In defense of Baghdad, Iraq turns to Shi'ite militias,” Reuters, June 14, 2014, http://www.reuters.com/article/2014/06/14/us-iraq-security-volunteers-idUSKBN0EP0O920140614. As of early 2018, KH also maintains its own website.“Kataib Hezbollah,” Kataib Hezbollah, accessed May 11, 2015, http://kataibhizbollah.com/. KH members have received training from Iran’s external military wing, the Quds Force, as well as from Lebanese Hezbollah, another Iranian proxy.Bill Roggio, “Iran continues to train Shia terror groups for attacks in Iraq,” Long War Journal, August 15, 2008, http://www.longwarjournal.org/archives/2008/08/map_details_irans_op.php; “Treasury Designates Individual, Entity Posing Threat to Stability in Iraq,” U.S. Department of the Treasury, July 2, 2009, http://www.treasury.gov/press-center/press-releases/Pages/tg195.aspx. By 2008, the Quds Force and Lebanese Hezbollah were running training camps in four locations in Iran (Tehran, Qom, Ahvaz, and Mashhad). There, KH and Iran’s other Shiite militias were trained on the use of small arms and explosives.Bill Roggio, “Iran continues to train Shia terror groups for attacks in Iraq,” Long War Journal, August 15, 2008, http://www.longwarjournal.org/archives/2008/08/map_details_irans_op.php. Lebanese Hezbollah also ran training camps in southern Iraq until the group was forced to relocate the camps to Iran in April 2008.Associated Press, “US: Quds, Hezbollah training hit squads in Iran,” USA Today, August 16, 2008, http://usatoday30.usatoday.com/news/washington/2008-08-15-3191382404_x.htm. By 2010, training camps in Iran continued to provide KH with training related to small arms, surveillance, small unit tactics, and communications.“U.S. Policy Towards the Islamic Republic of Iran: Hearing before the Committee on Armed Services,” United States Senate One Hundred Eleventh Congress Second Session, U.S. Government Printing Office, April 14, 2010, http://www.gpo.gov/fdsys/pkg/CHRG-113hhrg85643/pdf/CHRG-113hhrg85643.pdf. By November 2013, KH members were reportedly being trained in either Iran or Lebanon and then flown to Syria to fight alongside Assad regime forces.Terrorist Groups in Syria: Hearing Before the Subcommittee on Terrorism, Nonproliferation, and Trade of the Committee on Foreign Affairs House of Representatives, 113th Cong. 17-24 (2013) (statement of Phillip Smyth, Middle East research analyst, University of Maryland), http://www.gpo.gov/fdsys/pkg/CHRG-113hhrg85643/pdf/CHRG-113hhrg85643.pdf. By 2015, some KH members were receiving military training at a base near the city of Samarra in northern Iraq.Alice Fordham, “After Retaking Iraqi City, Shiite Militias Accused Of Targeting Sunnis,” NPR, April 7, 2015, http://www.npr.org/blogs/parallels/2015/04/07/398004441/after-retaking-tikrit-shiite-militias-accused-of-violence-against-sunnis. KH has developed especially close ties with Unit 3800, the Lebanese Hezbollah wing devoted to arming and training Iraqi Shiite militias.Matthew Levitt and Phillip Smyth, “Kataib al-Imam Ali: Portrait of an Iraqi Shiite Militant Group Fighting ISIS,” Washington Institute for Near East Policy, January 5, 2015, http://www.washingtoninstitute.org/policy-analysis/view/kataib-al-imam-ali-portrait-of-an-iraqi-shiite-militant-group-fighting-isis. In June 2015, the group allegedly helped train Bahraini militants.David Andrew Weinberg, “Bahrain and Iran Expel Each Other’s Diplomats,” Foundation for Defense of Democracies, October 5, 2015, http://www.defenddemocracy.org/media-hit/david-weinberg-bahrain-and-iran-expel-each-others-diplomats/. March 2007 - June 2008: KH launches a number of rocket-propelled grenades (RPGs) and improvised rocket-assisted mortars (IRAMs) at U.S. targets in Iraq.“Treasury Designates Individual, Entity Posing Threat to Stability in Iraq,” U.S. Department of the Treasury, July 2, 2009, http://www.treasury.gov/press-center/press-releases/Pages/tg195.aspx. February 19, 2008: KH launches an IRAM attack at a U.S. base southeast of Baghdad. The attack by KH kills one U.S. civilian and injures additional coalition force personnel and U.S. civilians.“Treasury Designates Individual, Entity Posing Threat to Stability in Iraq,” U.S. Department of the Treasury, July 2, 2009, http://www.treasury.gov/press-center/press-releases/Pages/tg195.aspx. May 13, 2008: KH launches an RPG attack on a U.S. tank in northern Baghdad.“Treasury Designates Individual, Entity Posing Threat to Stability in Iraq,” U.S. Department of the Treasury, July 2, 2009, http://www.treasury.gov/press-center/press-releases/Pages/tg195.aspx. June 4, 2008: KH is believed responsible for an attack that kills 18 Iraqi civilians, injures 29, and destroys 19 homes. The attack reportedly was intended to target coalition forces.American Forces Press Service, “Operations Continue Against al-Qaida, Hataib Hezbollah,” U.S. Department of Defense, October 19, 2008, http://www.defense.gov/news/newsarticle.aspx?id=51560. July 8, 2008: KH claims responsibility for an attack in northern Baghdad that injures one U.S. soldier and an interpreter.Bill Roggio, “Hezbollah Brigades propaganda specialist captured in Baghdad,” Long War Journal, July 21, 2008, http://www.longwarjournal.org/archives/2008/07/hezbollah_brigades_p.php. August 2008: KH films seven attacks on U.S. and coalition forces.“Country Reports on Terrorism 2009: Chapter 6. Terrorist Organizations,” U.S. Department of State, August 5, 2010, http://www.state.gov/j/ct/rls/crt/2009/140900.htm. September 2008: KH continues to target U.S. military bases, coalition and U.S. vehicles, and contractors working with coalition forces.“Country Reports on Terrorism 2009: Chapter 6. Terrorist Organizations,” U.S. Department of State, August 5, 2010, http://www.state.gov/j/ct/rls/crt/2009/140900.htm. November 29, 2008: KH launches a rocket attack that kills two U.N. contractors and injures 15 others.Katherine Zoepf, “Rocket Kills 2 Contract Workers at U.N. Compound in Baghdad,” New York Times, November 29, 2008, http://www.nytimes.com/2008/11/30/world/middleeast/30iraq.html?_r=0; “Kata’ib Hizballah (KH),” GlobalSecurity.org, accessed May 11, 2015, http://www.globalsecurity.org/military/world/para/kataib-hizballah.htm. July 2, 2009: The U.S. Treasury Department designates Kata’ib Hezbollah and its leader, Abu Mahdi al-Mohandes, for having “committed, directed, supported, or posed a significant risk of committing acts of violence against Coalition and Iraqi Security Forces.”“Treasury Designates Individual, Entity Posing Threat to Stability in Iraq,” U.S. Department of the Treasury, July 2, 2009, http://www.treasury.gov/press-center/press-releases/Pages/tg195.aspx. The U.S. State Department notes that in addition to executing attacks against U.S., Iraqi, and coalition forces, KH has threatened the lives of Iraqi politicians, as well as civilians, who support Iraq’s political process.“Designation of Kata’ib Hizballah as a Foreign Terrorist Organization,” U.S. Department of State, July 2, 2009, http://www.state.gov/r/pa/prs/ps/2009/july/125582.htm. December 2009: On December 23, Iraqi forces arrest three suspected Kata’ib Hezbollah operatives, including one wanted for executing mortar attacks in September.American Forces Press Service, “Iraqi Forces Arrest 7 Terrorism Suspects,” U.S. Department of Defense, December 23, 2009, http://www.defense.gov/news/newsarticle.aspx?id=57242. On December 31, KH carries out a rocket attack in the Green Zone.Michael R. Gordon and Andrew W. Lehren, “Leaked Reports Detail Iran’s Aid for Iraqi Militias,” New York Times, October 22, 2010, http://www.nytimes.com/2010/10/23/world/middleeast/23iran.html?pagewanted=all&_r=0. July 2010: U.S. General Ray Odierno warns of an imminent threat posed by KH, and says that Iran continues to provide the group with funds, training, weapons, and ammunition.Scott Peterson, “Odierno: Militants trained in Iran prepare to attack US bases in Iraq,” Christian Science Monitor, July 13, 2010, http://www.csmonitor.com/World/Middle-East/2010/0713/Odierno-Militants-trained-in-Iran-prepare-to-attack-US-bases-in-Iraq; Bill Roggio, “Iranian-backed Shia terror group remains a threat in Iraq: General Odierno,” Long War Journal, July 13, 2010, http://www.longwarjournal.org/archives/2010/07/iranianbacked_shia_t_1.php; Bill Roggio, “Iran backs three Shia terror groups in Iraq: General Odierno,” Long War Journal, July 22, 2010, http://www.longwarjournal.org/archives/2010/07/iran_backs_three_shi.php. June 2011: On June 6, an IRAM attack on a U.S. military camp near Baghdad International Airport kills six U.S. soldiers. KH claims responsibility for the attack.Jay Solomon, “Iran Funnels New Weapons to Iraq and Afghanistan,” Wall Street Journal, July 2, 2011, http://www.wsj.com/articles/SB10001424052702303763404576420080640167182. KH also claims responsibility for an IRAM attack that kills three U.S. soldiers at a base on June 29.Michael Knights, “Shia strength - Iraqi militants adapt to the US drawdown,” Washington Institute for Near East Policy, September 30, 2011, https://www.washingtoninstitute.org/uploads/Documents/opeds/4e8b0eba7c0a2.pdf. June is considered the deadliest month in Iraq for U.S. forces in over two years.Jay Solomon, “Iran Funnels New Weapons to Iraq and Afghanistan,” Wall Street Journal, July 2, 2011, http://www.wsj.com/articles/SB10001424052702303763404576420080640167182. U.S. military officials say that Shiite militias, including Kata’ib Hezbollah, are ramping up attacks in an effort to claim credit for the impending U.S. military withdrawal from Iraq.Mohammed Tawfeeq and Chelsea J. Carter, “Iraq's self-imposed deadline passes without decision on U.S. troops,” CNN, July 25, 2011, http://www.cnn.com/2011/WORLD/meast/07/25/iraq.us.withdrawal/. July 2011: KH issues a statement threatening Kuwait and the workers who are building a port near Kuwait’s border with Iraq.Rafid Fadhil Ali, “Iraq’s Kata’ib Hezbollah Seek Greater Popularity through Threats to Kuwaiti Port Development,” Terrorism Monitor 9, no. 33 (August 19, 2011), http://www.jamestown.org/single/?no_cache=1&tx_ttnews%5Btt_news%5D=38344#.VUtzlvlViko. October 2012: A Reuters report mentions that Shiite fighters from KH have been traveling to Syria to defend the Assad regime.Suadad al-Salhy, “Iraqi Shi’ite militants fight for Syria's Assad,” Reuters, October 16, 2012, http://www.reuters.com/article/2012/10/16/us-syria-crisis-iraq-militias-idUSBRE89F0PX20121016. February 2013: KH is linked to a February 9 attack on a camp in Iraq hosting Iranian dissidents.Ashish Kumar Sen, “Rocket attack kills 2 Iranian dissidents, wounds dozens in Iraq,” Washington Times, June 15, 2013, http://www.washingtontimes.com/news/2013/jun/15/rocket-attack-kills-2-iranian-dissidents-wounds-do/?page=all. June 2014: Human Rights Watch finds that KH, AAH, and other Shiite militias have carried out “indiscriminate attacks in civilian areas,” and have also conducted kidnapping operations and carried out summary executions of Sunnis. These attacks have occurred in the Iraqi towns of Buhriz, Mada’in, al-Heetawy, and others, according to Human Rights Watch’s findings.“Iraq: ISIS Advance Threatens Civilians,” Human Rights Watch, June 12, 2014, http://www.hrw.org/news/2014/06/12/iraq-isis-advance-threatens-civilians. March 21, 2015: Two Iraqi local officials and a police officer accuse KH militants of burning and looting homes in the Iraqi town of al-Dour after capturing it from ISIS. Both a KH spokesman and a security commander in the area deny the claim.“Iraqi Sunnis accuse Shi’ite paramilitaries of burning homes outside Tikrit,” Reuters, March 21, 2015, http://www.reuters.com/article/2015/03/22/us-mideast-crisis-iraq-idUSKBN0MH0R720150322. Early April 2015: Sunnis from liberated Tikrit and its surrounding towns claim that KH militants are responsible for looting and burning Sunni homes. Residents claim that the attacks by KH were motivated by sectarian hatred.Alice Fordham, “After Retaking Iraqi City, Shiite Militias Accused Of Targeting Sunnis,” NPR, April 7, 2015, http://www.npr.org/blogs/parallels/2015/04/07/398004441/after-retaking-tikrit-shiite-militias-accused-of-violence-against-sunnis. September 4, 2015: Eighteen Turkish construction workers are abducted in Baghdad. Kata'ib Hezbollah is suspected of involvement.Stephen Kalin, “Iraqi army raids militia HQ, suspecting link to Turkish abductees,” September 4, 2015, http://www.reuters.com/article/us-mideast-crisis-iraq-turkey-idUSKCN0R417220150904. “U.N. warns of renewed cycle of sectarian strife in Iraq, urges prevention,” Reuters, July 5, 2016, http://www.reuters.com/article/us-mideast-crisis-iraq-falluja-un-idUSKCN0ZL1KR. June 2016: KH is implicated in human rights abuses and retaliatory attacks against Sunnis near Fallujah.Ned Parker and Jonathan Landay, “Special Report: Massacre reports show U.S. inability to curb Iraq militias,” Reuters, August 23, 2016, http://www.reuters.com/article/us-iraq-massacres-falluja-special-report-idUSKCN10Y1VD. July 2, 2009: The U.S. Department of State designated “Kata’ib Hizballah” as a Foreign Terrorist Organization on July 2, 2009.“Treasury Designates Individual, Entity Posing Threat to Stability in Iraq,” U.S. Department of the Treasury, July 2, 2009, http://www.treasury.gov/press-center/press-releases/Pages/tg195.aspx. July 2, 2009: The U.S. Department of the Treasury designated “Abu Mahdi al-Mohandes” as a Specially Designated Global Terrorist (SDGT) on July 2, 2009.“Treasury Designates Individual, Entity Posing Threat to Stability in Iraq,” U.S. Department of the Treasury, July 2, 2009, http://www.treasury.gov/press-center/press-releases/Pages/tg195.aspx. November 2014: The United Arab Emirates designated “Hizbollah Brigades in Iraq” as a terrorist organization in November 2014.“List of groups designated terrorist organisations by the UAE,” National (Abu Dhabi), November 16, 2014, http://www.thenational.ae/uae/government/list-of-groups-designated-terrorist-organisations-by-the-uae. Jamal Jaafar Ibrahimi, the leader of KH, joined the Badr Organization’s predecessor, the Badr Corps, in 1985. By 2001, he had risen to become one of the deputy commanders of the Badr Corps.Michael Knights, “The Evolution of Iran’s Special Groups in Iraq,” Combatting Terrorism Center, November 1, 2010, https://www.ctc.usma.edu/posts/the-evolution-of-iran%E2%80%99s-special-groups-in-iraq. Ibrahimi’s connection to the Badr Corps is not unique. According to U.S. intelligence officers, the majority of KH’s members as of 2010 had served in the Badr Corps before 2003.Michael Knights, “Shia strength - Iraqi militants adapt to the US drawdown,” Washington Institute for Near East Policy, September 30, 2011, https://www.washingtoninstitute.org/uploads/Documents/opeds/4e8b0eba7c0a2.pdf. The connection between KH and the Badr Organization (so renamed in 2003) has continued. In early 2013, KH and the Badr Organization formed Kataib Sayyid al-Shuhada (KSS or “The Master of the Martyrs Brigade”) to fight in Syria.Phillip Smyth, “All the Ayatollah’s Men,” Foreign Policy, September 18, 2014, http://foreignpolicy.com/2014/09/18/all-the-ayatollahs-men/. Further, while KH does not affiliate with any one political party in Iraq, the group is reported to have a “familial” relationship with political figures within the Badr Organization, according to a RAND Corporation report.Richard R. Brennan et al., eds., Ending the U.S. War in Iraq: the Final Transition, Operational Maneuver, and Disestablishment of United States Forces-Iraq (Santa Monica: RAND Corporation, 2013), 139, http://www.rand.org/content/dam/rand/pubs/research_reports/RR200/RR232/RAND_RR232.pdf. KH and the Badr Organization, along with Asaib Ahl al-Haq (AAH) comprise “Iran’s three big Iraqi militias,” according to Reuters.Babak Dehghanpisheh, “Special Report: The fighters of Iraq who answer to Iran,” Reuters, November 12, 2014, http://www.reuters.com/article/2014/11/12/us-mideast-crisis-militias-specialreport-idUSKCN0IW0ZA20141112. All three groups are part of the Haashid Shaabi, an umbrella organization of Shiite militias also called the popular mobilization forces (PMF). While Kata’ib Hezbollah (KH) and Lebanese Hezbollah share a name, the two Iranian proxies operate independently. KH has ideological ties to Lebanese Hezbollah and may have received support from the latter group, according to the U.S. State Department.“Country Reports on Terrorism 2009: Chapter 6. Terrorist Organizations,” U.S. Department of State, August 5, 2010, http://www.state.gov/j/ct/rls/crt/2009/140900.htm. In particular, KH has developed especially close ties with Unit 3800, the wing of Lebanese Hezbollah devoted to arming and training Iraqi Shiite militias.Matthew Levitt and Phillip Smyth, “Kataib al-Imam Ali: Portrait of an Iraqi Shiite Militant Group Fighting ISIS,” Washington Institute for Near East Policy, January 5, 2015, http://www.washingtoninstitute.org/policy-analysis/view/kataib-al-imam-ali-portrait-of-an-iraqi-shiite-militant-group-fighting-isis. The U.S. State Department wrote in 2010 that KH is suspected to receive its aid from Iran through its Lebanese Hezbollah proxy.“Country Reports on Terrorism 2009: Chapter 6. Terrorist Organizations,” U.S. Department of State, August 5, 2010, http://www.state.gov/j/ct/rls/crt/2009/140900.htm. The U.S. Treasury Department wrote more explicitly in 2008 that KH had been receiving weapons training and support from Lebanese Hezbollah.“Treasury Designates Individual, Entity Posing Threat to Stability in Iraq,” U.S. Department of the Treasury, July 2, 2009, http://www.treasury.gov/press-center/press-releases/Pages/tg195.aspx. Iran’s Islamic Revolutionary Guard Corps (IRGC) formed KH in 2006 or early 2007, during the U.S.-led war in Iraq.Farnaz Fassihi, Jay Solomon, and Sam Dagher, “Iranians Dial Up Presence in Syria,” Wall Street Journal, September 16, 2013, http://www.wsj.com/articles/SB10001424127887323864604579067382861808984; “Country Reports on Terrorism 2009: Chapter 6. Terrorist Organizations,” U.S. Department of State, August 5, 2010, http://www.state.gov/j/ct/rls/crt/2009/140900.htm; Michael Knights, “The Evolution of Iran’s Special Groups in Iraq,” Combatting Terrorism Center, November 1, 2010, https://www.ctc.usma.edu/posts/the-evolution-of-iran%E2%80%99s-special-groups-in-iraq. As of 2008, KH was being funded, trained, and controlled by the IRGC.“Treasury Designates Individual, Entity Posing Threat to Stability in Iraq,” U.S. Department of the Treasury, July 2, 2009, http://www.treasury.gov/press-center/press-releases/Pages/tg195.aspx; Michael Knights, “The Evolution of Iran’s Special Groups in Iraq,” Combatting Terrorism Center, November 1, 2010, https://www.ctc.usma.edu/posts/the-evolution-of-iran%E2%80%99s-special-groups-in-iraq. In September 2010, Michael Knights of the Washington Institute for Near East Policy wrote that the interaction between KH and the IRGC goes both ways, as KH leader Jamal Jaafar Ibrahimi has acted not only as the head of his militia, but as an adviser to Iran’s military envoy to Iraq, IRGC Quds Force commander Qasem Soleimani.Michael Knights, “The Evolution of Iran’s Special Groups in Iraq,” Combatting Terrorism Center, November 1, 2010, https://www.ctc.usma.edu/posts/the-evolution-of-iran%E2%80%99s-special-groups-in-iraq. Soleimani reportedly oversees the three main Shiite militias in Iraq – KH, the Badr Organization, and AAH.Babak Dehghanpisheh, “Special Report: The fighters of Iraq who answer to Iran,” Reuters, November 12, 2014, http://www.reuters.com/article/2014/11/12/us-mideast-crisis-militias-specialreport-idUSKCN0IW0ZA20141112. The IRGC’s Quds Force is charged with spreading Iran’s Islamist ideology and system of governance beyond the country’s borders.Martin Chulov, “Qais al-Khazali: from kidnapper and prisoner to potential leader,” Guardian (London), December 31, 2009, http://www.theguardian.com/world/2009/dec/31/iran-hostages-qais-al-khazali. In al-Mohandes’s first press conference in January 2015, he described himself as a military commander and “defector” from the IRGC.Othman al-Mukhtar, “Fugitive from international justice now militia leader in Iraq,” al-Araby al-Jadeed, January 4, 2015, http://www.alaraby.co.uk/english/politics/2015/1/4/fugitive-from-international-justice-now-militia-leader-in-iraq#sthash.Cmu7vyP5.dpuf. KH leader Jamal Jaafar Ibrahimi works closely with the commander of Iran’s IRGC Quds Force, Qasem Soleimani. In September 2010, Michael Knights of the Washington Institute for Near East Policy wrote that Ibrahimi acts not only as the head of his militia, but as an adviser to Soleimani.Michael Knights, “The Evolution of Iran’s Special Groups in Iraq,” Combatting Terrorism Center, November 1, 2010, https://www.ctc.usma.edu/posts/the-evolution-of-iran%E2%80%99s-special-groups-in-iraq. In his post as commander of the Quds Force, Soleimani has reportedly overseen military operations for the three main Shiite militias in Iraq – KH, the Badr Organization, and AAH.Babak Dehghanpisheh, “Special Report: The fighters of Iraq who answer to Iran,” Reuters, November 12, 2014, http://www.reuters.com/article/2014/11/12/us-mideast-crisis-militias-specialreport-idUSKCN0IW0ZA20141112. U.S. diplomat Ali Khedery has confirmed Soleimani’s strong connection with KH leader Jamal Jaafar Ibrahimi in particular. According to Khedery, “I heard from Sunni, Shiite, Kurdish officials and virtually all of them told me that the real prime minster of [Iraq] is Qasem Soleimani and his deputy is [Jamal Jaafar Ibrahimi, also known as] Abu Mahdi al-Muhandis.”Michael Weiss and Michael Pregent, “The U.S. Is Providing Air Cover for Ethnic Cleansing in Iraq,” Foreign Policy, March 28, 2015, http://foreignpolicy.com/2015/03/28/the-united-states-is-providing-air-cover-for-ethnic-cleansing-in-iraq-shiite-militias-isis/. “The Hezbollah Brigades derives its goals and pillars from the sharia rulings, on which the formation was based. Our first goal was and still remains: thwarting the American project in the region, defeat of the occupation, and expelling them from Iraq, broken and humbled. The second goal is reclaiming Iraq’s sovereignty and granting all of its people their rights. As for our jihadi pillars, there are four. Firstly, waging jihad against the occupation until the last American is expelled from Iraq.”“About Kata’ib Hezbollah,” The Islamic Resistance Kata’ib Hezbollah Official Website, accessed June 27, 2018, http://www.kataibhizbollah.com/institute/2711. “The enemy of humanity, the US, can no longer desecrate Iraqi soil, as the fighters of the Hezbollah Brigades will not allow them to do so. The Iraqi government and Council of Representatives need to make a decisive decision about the presence of US troops who should voluntarily withdraw before we force them to flee from the country.”Baxtiyar Goran, “Hezbollah Brigades: US troops will be forced to withdraw from Iraq,” Kurdistan 24, December 30, 2017, http://www.kurdistan24.net/en/news/582120a4-c8a0-40f1-a652-a9a46a43b926. “We have vanquished the American occupation with our quality and quantity in the past and we will continue attacking them, with our resources significantly increased. Iraq’s streets are still filled with the ruins of their vehicles that destroyed our explosive devices, and those injured by their soldiers are still hospitalized.”Maayan Groisman, “Hezbollah Brigades vows to attack US forces ‘defending ISIS’ in Iraq,” Jerusalem Post, March 21, 2016, http://www.jpost.com/Middle-East/Hezbollah-vows-to-attack-US-forces-defending-ISIS-in-Iraq-448657. “The coward [U.S.] soldiers should understand that however protective their vehicles are, these vehicles will become an obstacle for them and they will burn to death inside them.”Maayan Groisman, “Hezbollah Brigades vows to attack US forces ‘defending ISIS’ in Iraq,” Jerusalem Post, March 21, 2016, http://www.jpost.com/Middle-East/Hezbollah-vows-to-attack-US-forces-defending-ISIS-in-Iraq-448657. KH is a U.S.-designated anti-American Shiite militia operating in Iraq with ancillary operations in Syria. During the U.S.-led war in Iraq that began in 2003, KH earned a reputation for planting deadly roadside bombs to attack U.S. and coalition forces.